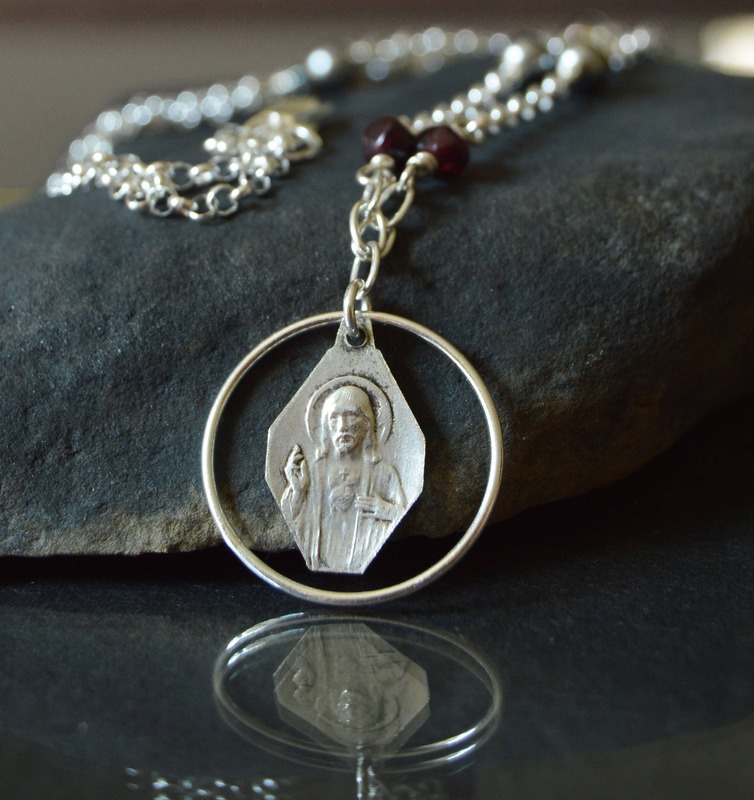 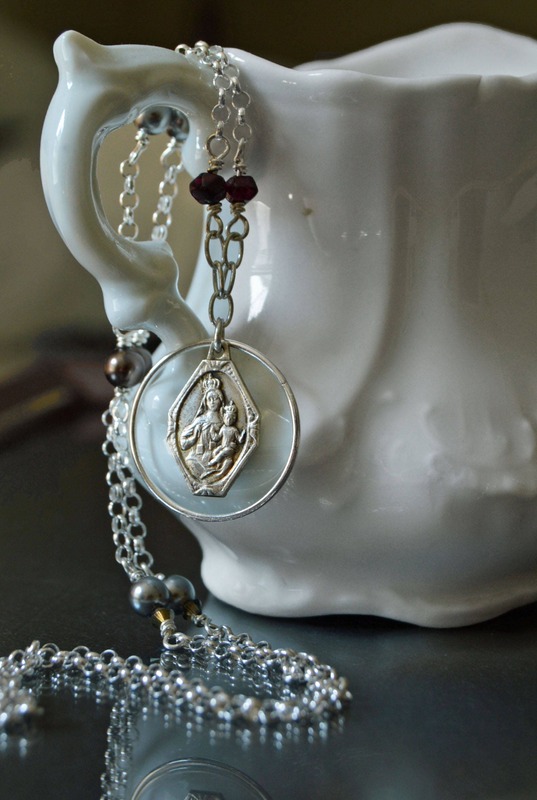 Religious jewelry featuring a vintage scapular medal of the Blessed Virgin Mary and the Sacred Heart. 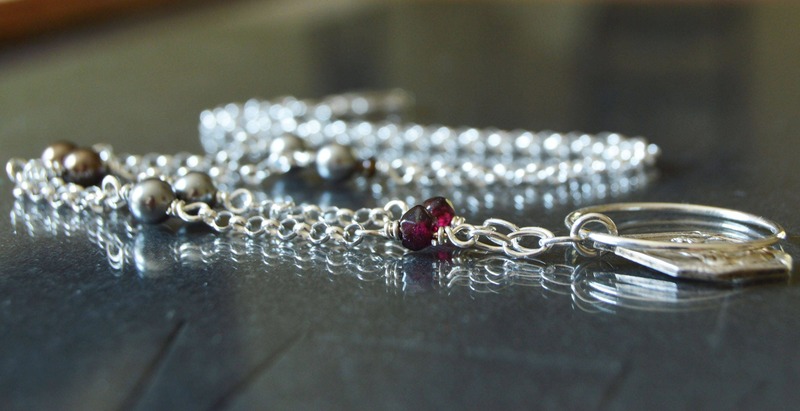 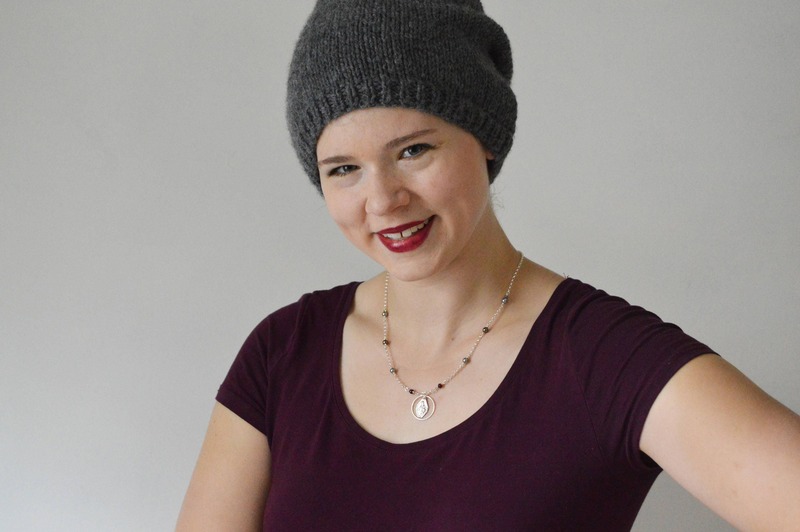 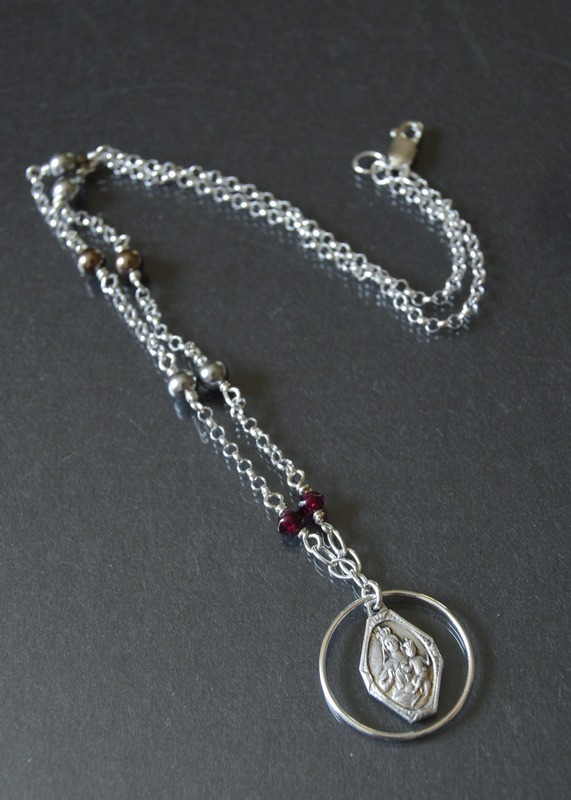 A blend of traditional and contemporary expression of devotion, the Catholic necklace presents sterling silver wrapped Swarovski® crystal beads in soft brown and greys and a touch of dark red garnets. 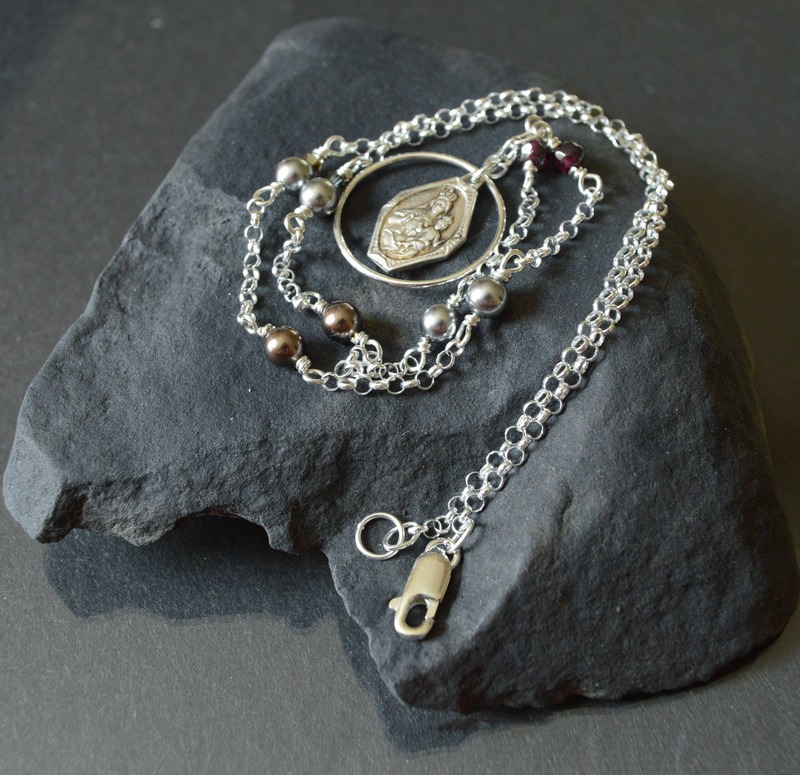 A sterling silver ring frames the medal and a sterling silver lobster clasp completes the design. 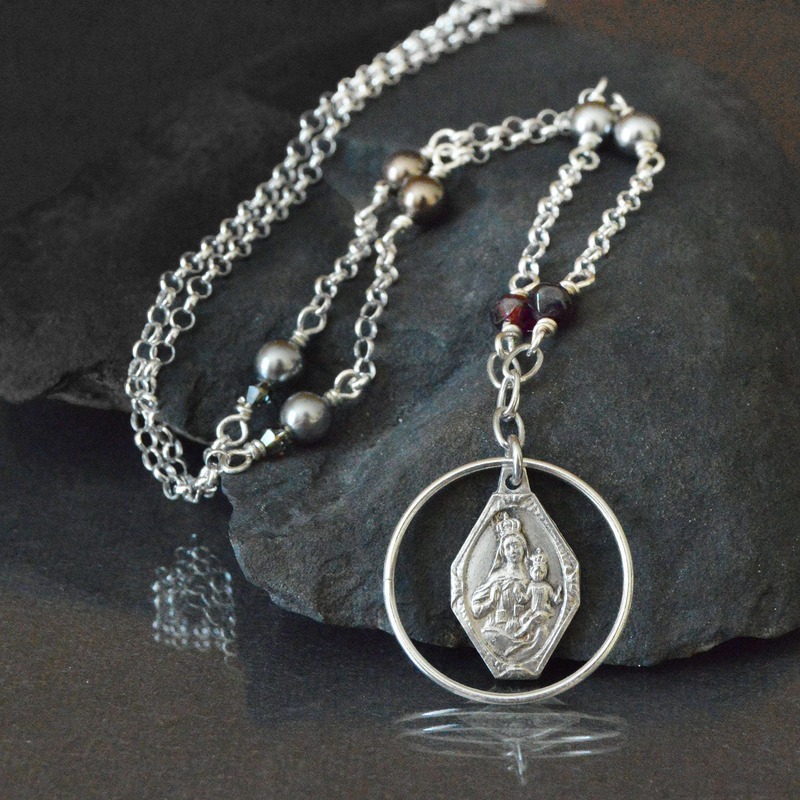 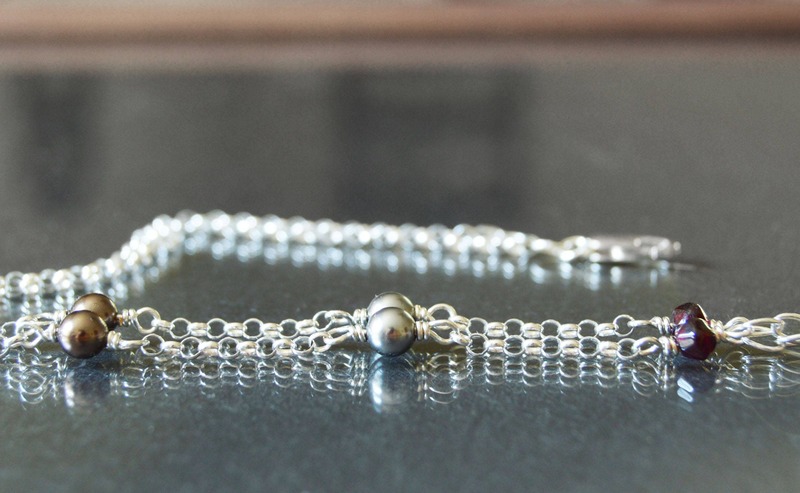 Click here to see more Virgin Mary Necklaces"